Expedition Blue Ridge embarks on April 14th, 2019 at 6:30 pm in Charlottesville, VA. Concluding April 17th, this invitation-only experience offers an intensive 3-day introduction to the soils, toil, and spoils of America's first wine region. Build your knowledge of the growing, making, and loving of Virginia wines with hands-on activities at each Commonwealth Collective partner winery. 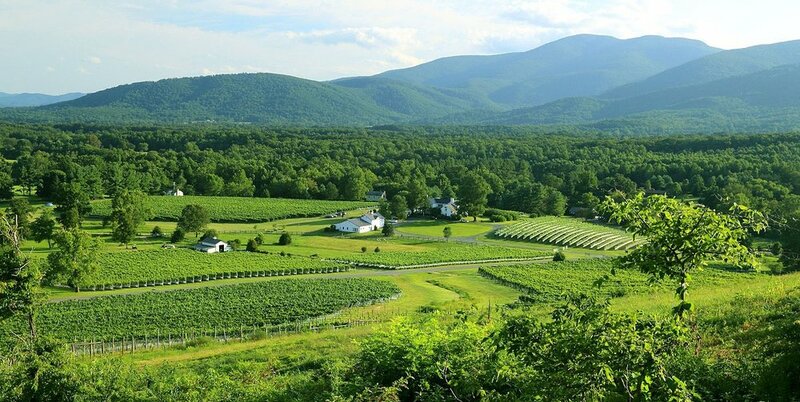 3:00 pm - 6:30 pm: Accommodations check-in -Wolftrap Farm, Orange, VA.
Viticulture seminar on vineyard planting followed by Cabernet Franc blind tasting comparisons and lunch overlooking the vines. Tannat diversity deep dive followed by vertical tasting. Viticulture seminar on cane pruning, Pinot Noir comparison tasting of free run versus press fraction juice, followed by lunch on the mountain. Méthode Champenoise cellar seminar with disgorgement, Viognier blind tasting comparisons, exploration of vintage variability and ageability of Virginia wine. Refreshments, dinner, riveting conversation, closing remarks.